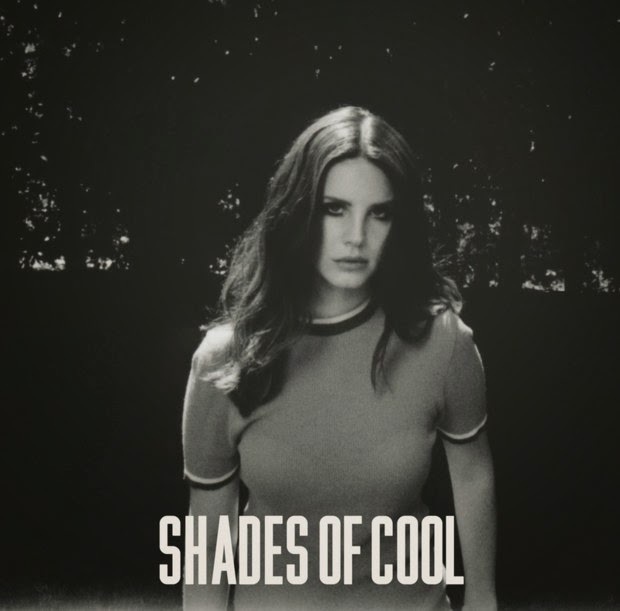 American Pancake: Lana De Rey drops "Shades of Cool" but is it? Lana Del Rey's latest Ultraviolence tease is "Shades of Cool." I really love "West Coast" (you can read my track review here) but am feeling a bit ambivalent about this new track. From the get go it sounds like a Bond flick theme song and the rhymes feel a bit forced. The melody goes exactly where you think it will go. In short, the song does not offer much in the way of surprises except for Lana's voice that sometimes strays dangerously close to the off key cliff. She purposely lets her vocals hang into that dissonant place that a more (technically) skilled vocalist could pull off but (for me) it just doesn't work here. I have listened to this song a dozen times and unfortunately the most dramatic and engaging parts of the song are when she is not singing. In any event, I know her fans will absolutely love this track. "West Coast" had some totally awesome diversions that were totally original and I still am hoping that as an album Ultraviolence will shine. I also hope that Del Rey and her writing team will compose some songs that are not afraid to be poetic without the rhyme and produce some songs with more spartan arrangements. Check out Shades of Cool. What do you think? Ultraviolence drops on 6/13 on Polydor / Interscope Records.